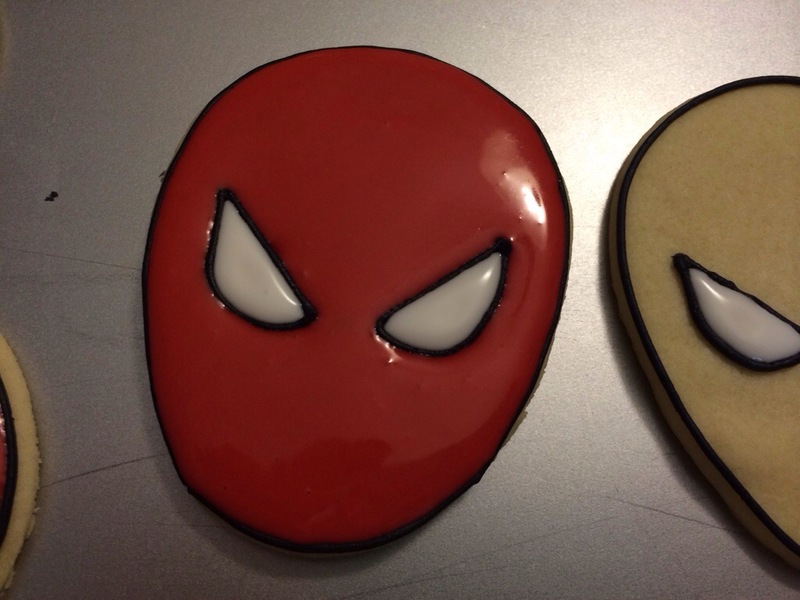 He had a Spiderman birthday, complete with cookies! I used an Easter egg cutter, turned upside down. Outlined in black, then dotted the center for reference for my eyes. 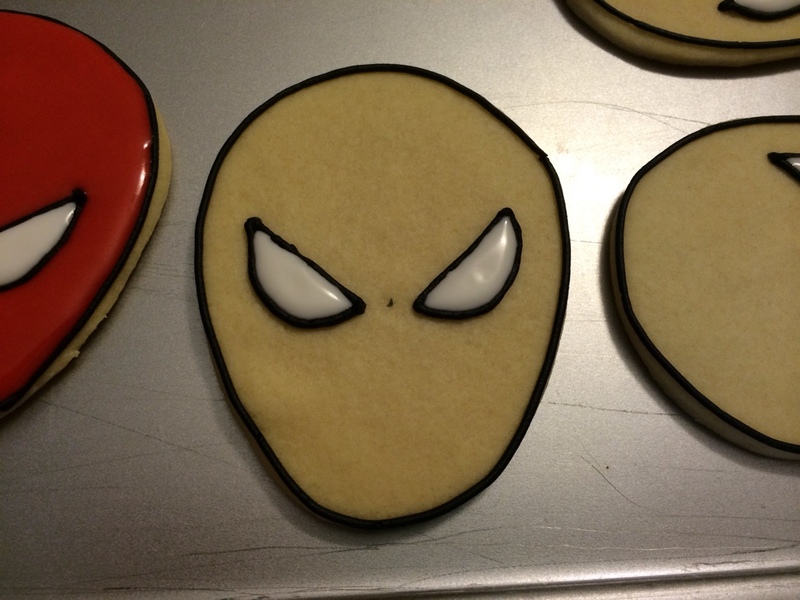 I just did them by hand, so each cookie is slightly different, but all of them look like Spidy! Then piped on the web design in black buttercream. 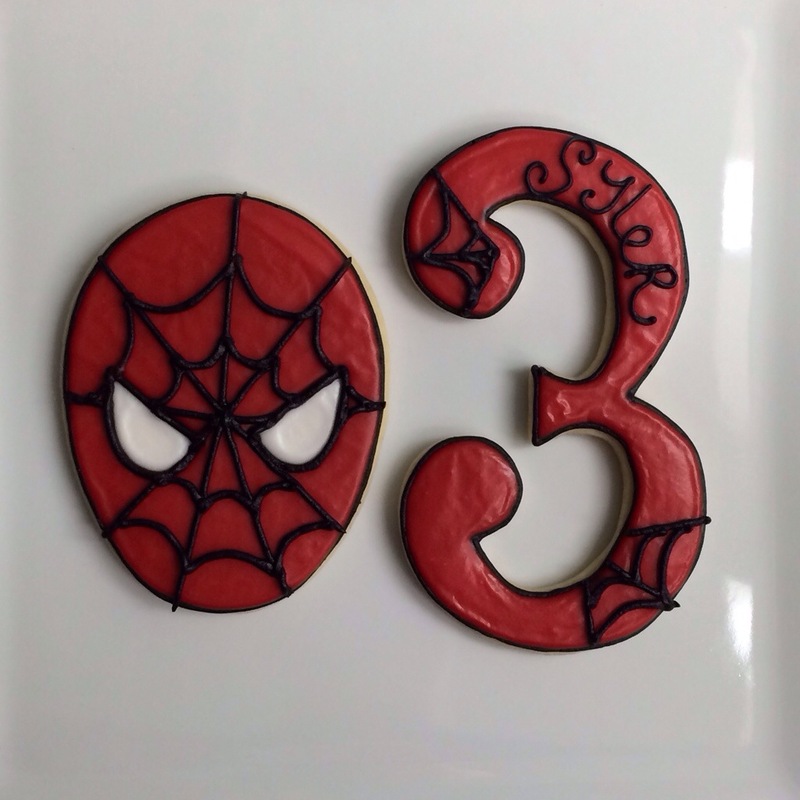 I even made Syler a special “3” cookie. 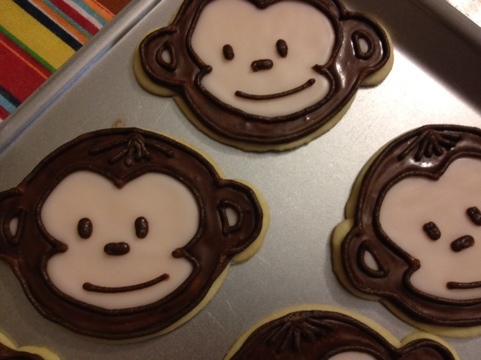 Syler’s sisters got their very own cookies for their ages too. 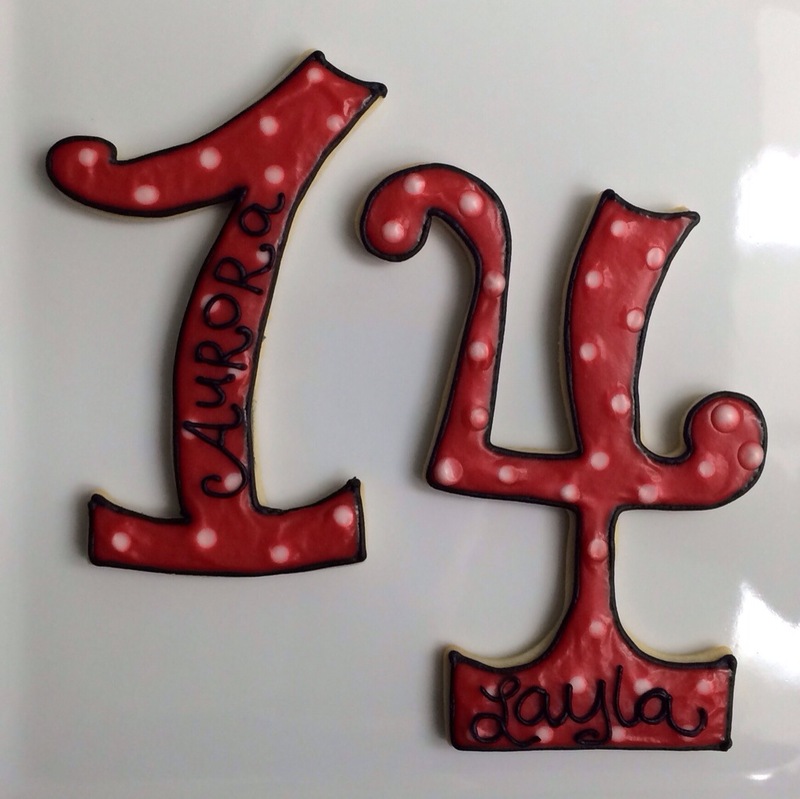 I’ve made Layla cookies for her 3rd birthday and her 2nd birthday. This year I was having a baby and couldn’t make her 4th birthday cookies, or her sister Aurora’s 1st birthday cookies. 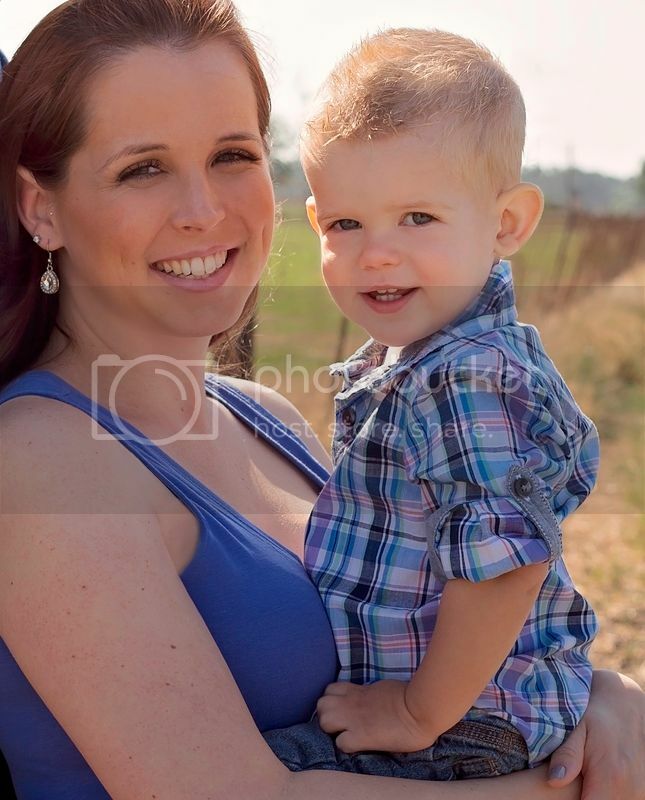 I wanted to make it up to them a little bit!